Despite everything I can’t quite give up on pop music. There is lots of pop music from the past that still sounds great of course and, once in a while, some piece of current ‘chart’ music enters my consciousness (such as Video Games by Lana Del Rey which I felt a need to hear again this morning). It is not the kind of stuff I listen to at length or go to hear live very often. A lot of pop music still does that thing of using interesting and surprising sounds or combinations of sounds that make them seem fresh and dynamic – for a while at least. And there are very occasional great voices that emerge too. There are a few bands that I still follow for one reason or another. Let’s see….Stars because they are innocents out in the world and are still trying to discover the perfect pop song, New Pornographers because they are arty cynics doing the same thing, Broken Social Scene because they combine all of the above and extend the length of the songs. Maybe it’s just a co-incidence that all of these people are Canadian. Are Dirty Projectors pop? I suppose they are at the more ‘experimental’ end of pop. The group I want to talk about here is Saint Etienne. Their first album Fox Base Alpha came out in 1991. I saw them on the television around this time and thought they were kind of pointless…retro-pop with an electronic twist. Then I heard Like a Motorway and I began to look at them differently. Maybe it was because I was listening to lots of Kraftwerk at the time and I saw connections…as if Like a Motorway was an answer record to Autobahn. Anyway, Motorway sounds like it is suffused with ennui and melancholy – the sound of lost and desperate youth. Sadly, it is that youfhful yearning that takes me back to pop. It is not very original research but I see on Wikipedia that Like a Motorway refers to the 19th century American folk song Silver Dagger and, having checked this out, I can say that the melody is lifted straight from it. (The Joan Baez version on Dylan’s Bootlegs Volume 6, Live 1964 demonstrates this well.) The fact that the song is a combination of two vastly different genres is, maybe, what makes it work so well for me. I know it is trivial but this irks me every time I hear it despite my own localist tendencies. Saint Etienne have returned to London themes many times and this always interests me. Their romanticization of London should probably be taken with a pinch of salt yet their enthusiasm is hard to deny and I am often borne along on the particularity of their reference points. They tend to do a similar thing with the idea of music…tapping into their fans love of music in all its profusion. (Another lyric from Finisterre: ‘I believe that, music in the long run, can sort out most things’) The video for a recent single (I’ve Got Your Music) shows this as does their latest album Words and Music by Saint Etienne with its elaborately constructed map made up of streets from song titles. And they have a grasp of the notion of ‘fans’ too. 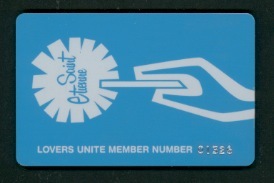 No doubt having a fan club is an anachronism (and theirs, ‘Lovers Unite’, has now become an online only resource) but the spirit in which it was conceived pointed to a generosity (as well as a bit of business savvy) that is singularly lacking in other manifestations of the world of pop. And they do some great tunes.